AVIC International Hotels Lanka, a subsidiary of the Aviation Industry Corporation of China (AVIC), launched AVIC Astoria’s Tower One earlier this year at an event graced by distinguished dignitaries. AVIC Astoria, scheduled to be completed by the end of 2017, will comprise of four towers and 608 apartments categorized into 2, 3 and 4 bedroom units in addition to stunning penthouse suites that incorporate a host of cutting-edge amenities, spacious design and breath-taking views. Situated in Colombo 03 which is a high demanded residential and commercial region, on three acres of prime freehold land in the heart of Sri Lanka’s commercial capital, demand for Astoria apartments is already on the rise. Over 60 percent of its units have already been sold to a wide range of clientele including both locals and international buyers from across Europe, Russia, the Middle-East, Australia and East Asia. A major highlight of this project is the location, which is being deemed as exclusive considering the area as well as its close proximity to some of the best business and lifestyle offerings that is available in the city. The property features will include open air swimming pools, squash courts, yoga rooms, play areas for children and an extensive club and spa facility. 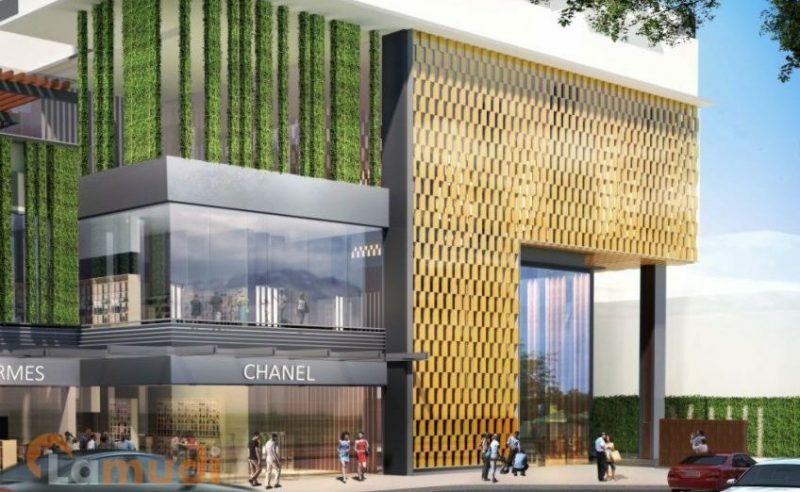 In addition, a 2,200 square metre shopping complex will be added which will be stocked with the best top-end consumer brands and retailers in order to cater to the sophisticated requirements of its discerning residents. Since safety and security are one of their main considerations for any buyer, Astoria’s developers have taken steps to create a safe and friendly living region for its residents by incorporating extensive security systems and protocols, in addition to intelligent building design in order to ensure efficiency. With AVIC Astoria, investment in Sri Lanka will condominiums, as well as a state-of-the-art and cutting-edge technology incorporated into the construction process. A unique feature about the construction material incorporated into the project is the aluminium formwork. It is the first time a Sri Lankan construction project has used aluminium in its construction. The use of the formwork aids in expediting the fast rise of the skyscraper, and the Astoria Condominiums will almost equal the height of the World Trade Centre in Colombo Fort. Aviation Industry Corporation of China (AVIC) is a state-owned mega incorporation administrated by the Chinese government. It owns almost 200 member companies, more than 20 listed companies and approximately 400,000 employees. As an important component of AVIC, AVIC International specializes in trade & logistics, retail & high-end consumer goods, real estate & hotel management, electronic high technology and development of resources. The Grand Skyline Hotel, a world-renowned 5-star hotel brand is also one of AVIC International’s proud presentations.